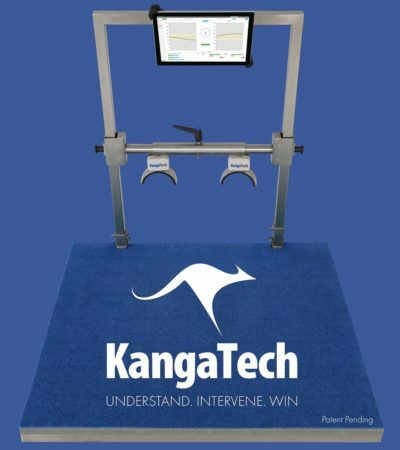 KangaTech is an injury prevention and management hardware and software platform currently used to test for and retrain neuromuscular imbalances associated with injury and poor movement performance. The technology was developed by Dr Steve Saunders in collaboration with North Melbourne FC and Biarri Mathematics, during his 7year tenure as Director of Sports Science and Medical Services at the North Melbourne Football Club. KangaTech has recently been opened to the Elite Sporting Market and is now being used by multiple teams and athletes in the AFL, NBA, English Soccer, NHL, Australian cricket, and extreme sports around the world.